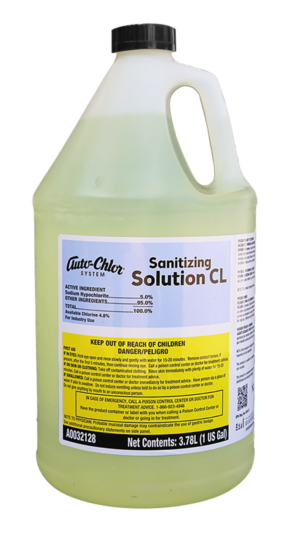 An ideal, lemon fragranced formulation for hand dishwashing. 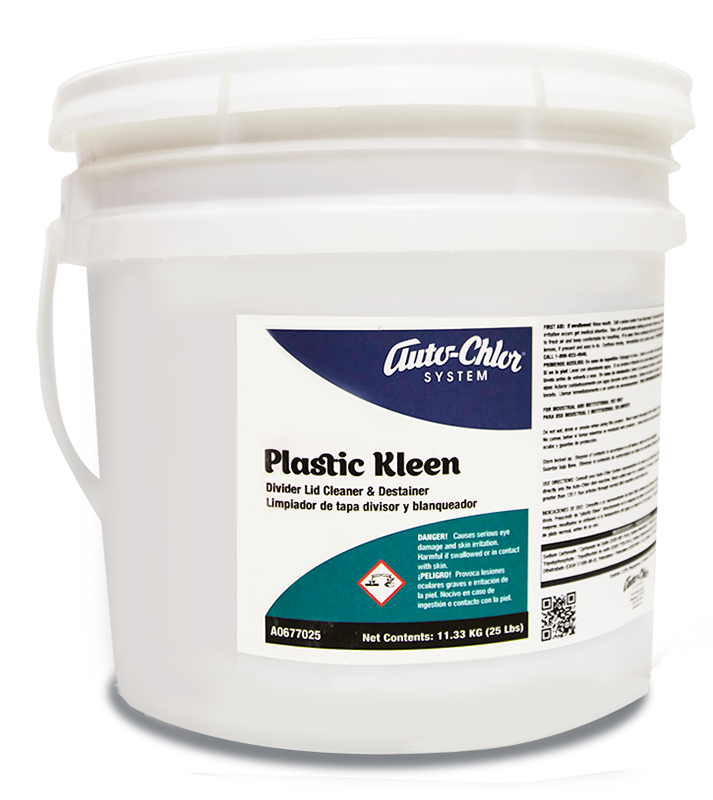 Easily removes food residues and greasy soil. 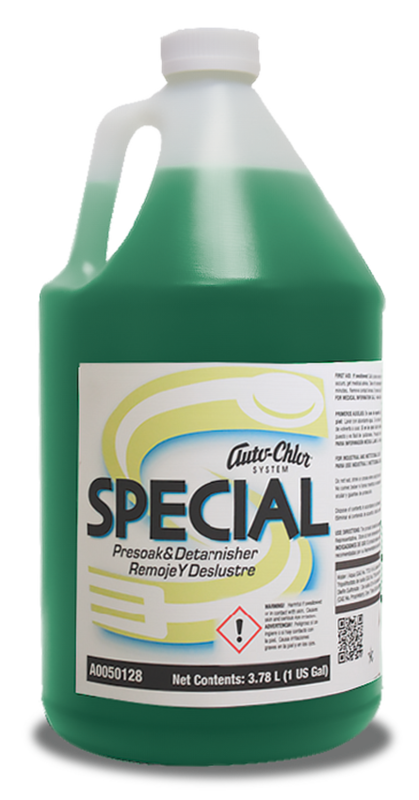 Free of harsh alkalies and phosphates and gentle to hands. 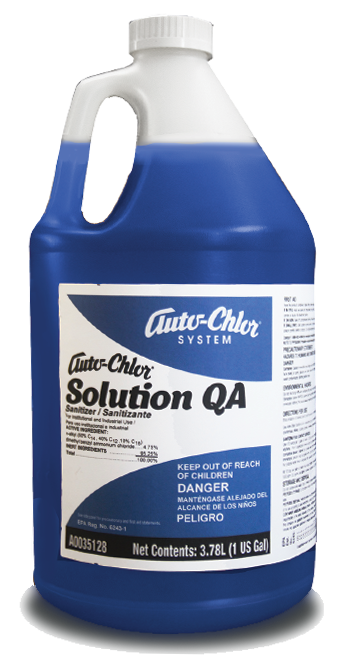 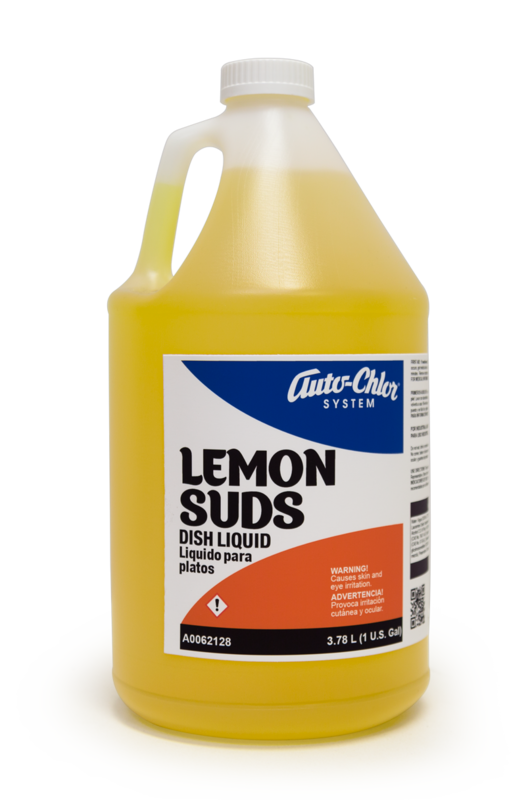 Auto-Chlor System Lemon Suds is a concentrated lemon fragranced hand dishwashing detergent designed specially for the industrial and institutional market. 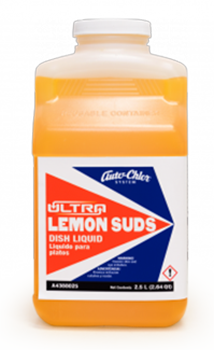 Lemon Suds is a free rinsing, high performance product which effectively removes food residues and greasy soil from glasses, dinnerware, pots and pans. 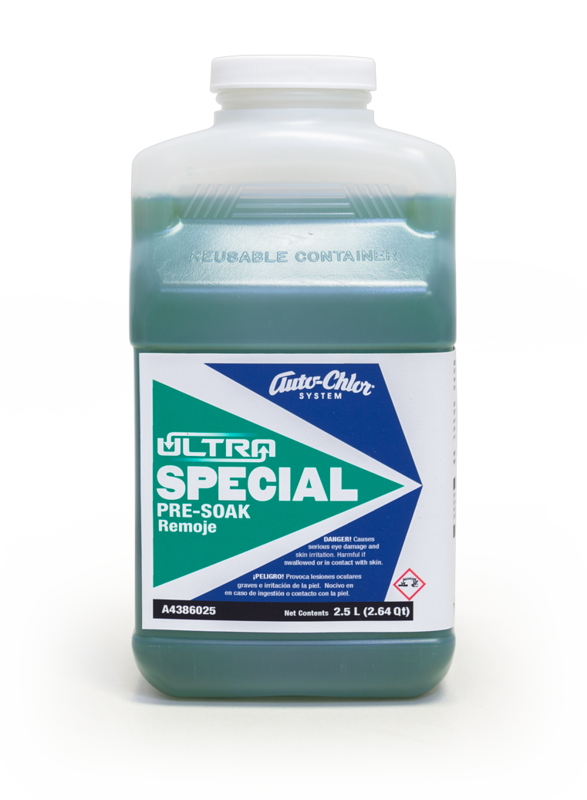 Void of phosphates and harsh alkalies, this non-abrasive formula produces stable suds and is extremely gentle to the hands. 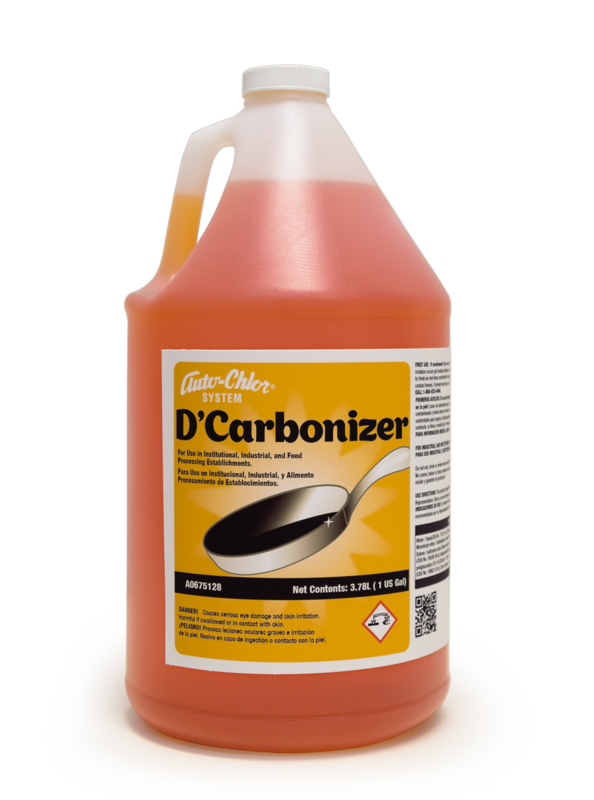 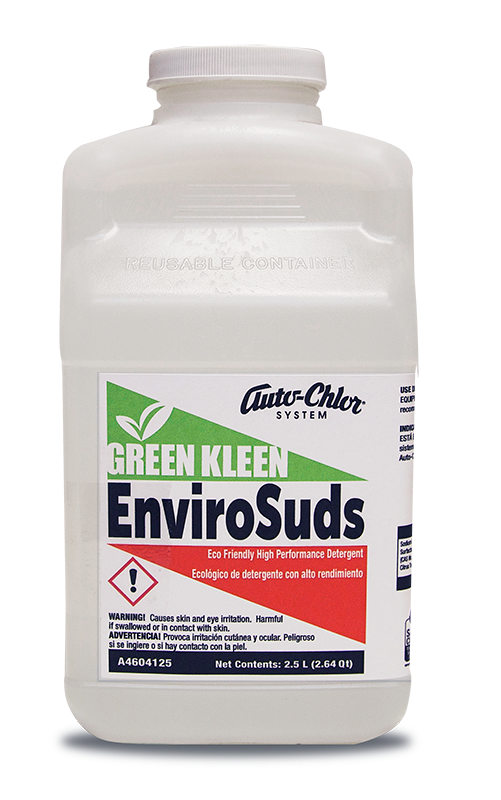 An excellent general purpose cleaner, Lemon Suds can be utilized for a variety of cleaning tasks.